Family traditions. 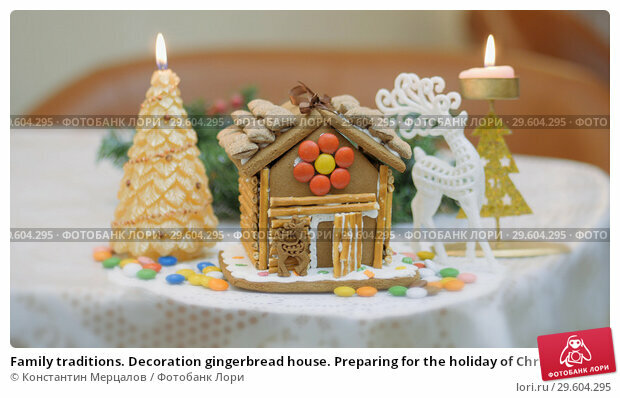 Decoration gingerbread house. Preparing for the holiday of Christmas. Christmas composition from a fairy tale. Camera in motion.